You won’t find a collection of this many classroom tried and tested materials for level 1 in once place for this price! A must have for student teachers and first and second year teachers. Click here to see full description and preview. A Microsoft PowerPoint slideshow of 100 different bell ringer activities to use to start your Spanish class. 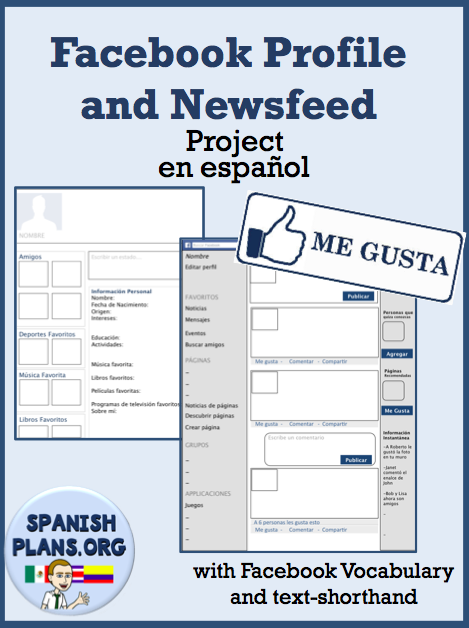 These Spanish 1 concepts review material and are a great way to get the class started. You can certainly adapt any slide to your own preferences. Includes some culturally rich backgrounds on the slides as well. Includes projects for: Practicing Vocabulary, Animal Description, School Unit, Food Unit, Menu, Family Album, House unit, Body Part, Commands, Doctor Skit, Daily Routine skit, Clothing unit, Advice Unit, Past Tense and Country Research. Rubrics included for majority of projects. Get your beginning Spanish students talking! Over 300 questions for your students to ask and respond to. 32 pages for Level 1 Cards and 28 pages for Level 2 Cards with 6 “cards” on each page to cut out. A great lesson to have students orally respond to questions. Can be used in pairs, small groups, or as a whole-class activity. Can even be used as review for Spanish 3 class as well. Click here for product preview. 12.8 MB of over 40 files for your Spanish class to help your students conjugate verbs in level one. Save yourself the time and trouble of creating all these files. These files are ready to print and copy for your classes! All files have been classroom tested. Click here to see full description. Over 13 Speaking Activities to get your Spanish students talking and conversing in the language. Includes: Surveys and Questionnaires to ask their classmates, questions on notecards, and 5 pre-made activities for arranging partners. Click here for full description and preview. 11 files necessary to teaching any food unit. Includes vocabulary powerpoint presentation, worksheets/assessments, Bingo game, info-gap activities, and final project with rubric. Check out our preview for full details. 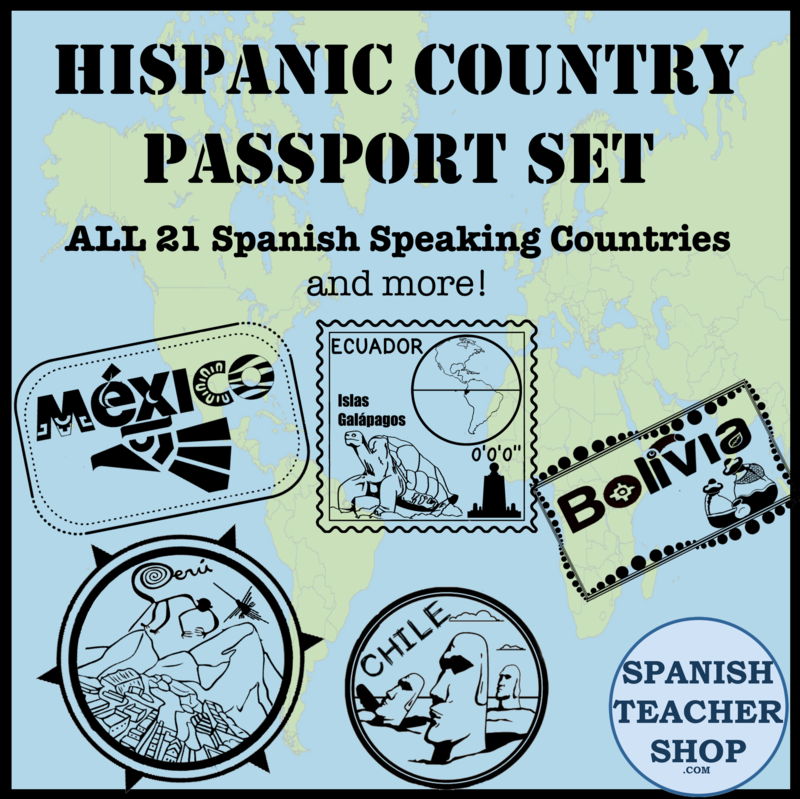 Includes our 2 most complete units on two of the most difficult subjects for Spanish students. Our reflexive verb unit offers 22 pages of notes and activities. Our ser/estar unit offers a 19 page unit lesson plan including guided notes, worksheets, and more. name, origin, birthday, favorite activities, hobbies, movies, tv shows, comments from ‘friends’ and more. Includes list for common vocabulary/terminology used by Facebook as well as a list of Spanish texting abbreviations. Includes a Editable Word Template and a PDF template of both a PROFILE and a NEWSFEED page. Download Preview now. (Digital Download) Over 1,000 sold! Groups will research a Hispanic country in South or Central America. The student project includes a presentation board, map, travel brochure, and flag. Rubric is detailed but this product includes a PDF and a Word file so the buyer can EDIT any part of the project or rubric to their satisfaction.